Article 15 of the Constitution of Arizona lays the foundation of Arizona Corporation Commission. For the time being, only seven states have formed such commissions under their constitution. The Corporation Commission has a jurisdiction over service quality and even rates that is charged by utilities under public service authorities. They even try to make a balance between reliable and affordable utility service along with interest of customers. They even look to arrange ways for utility to incur basic profit margin in the process. They even approve filling incorporated articles for conducting business in the region. 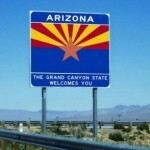 Corporate office is situated in Phoenix. There are currently 0 consumer reviews about Arizona Corporation Commision available. Share your review. Please take a note that you are about to post a public review about Arizona Corporation Commision corporate office on CorporateOffice.com. This review will be public, so please do not post any of your personal information on this website. If you would like to contact the corporate offices of Arizona Corporation Commision, please use their contact information such as their phone number, website, and address listed above to contact them. However, sometimes staff from Arizona Corporation Commision headquarters do read the reviews on this website.